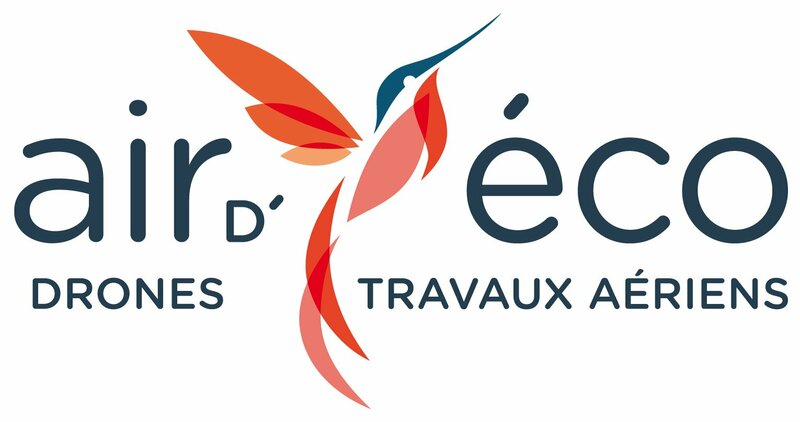 LiDAR for Drone 2017 – YellowScan International User Conference was held on the 29th and 30th of June, in the Château de Flaugergues, Montpellier. 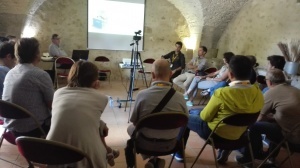 LiDAR for Drone 2017 – YellowScan International User Conference was held on the 29th and 30th of June, in the Château de Flaugergues, Montpellier. For this special event, YellowScan had put together a diverse and exciting agenda, proving the broad usage of YellowScan LiDAR equipment in applications such as archeology, forestry, powerlines, surveying, mining and civil engineering. The guests were hence served to industry case studies from all over the world (Japan, USA, Bolivia, Spain, France…), workshops, live demonstrations & data analysis on the field. LiDAR for drone 2017 was also about LiDAR technologies for UAVs with speakers from the following industries: 3D laser scanners, IMU, processing software and UAVs. After a keynote speech by Omar Soubra, Director of Marketing at Trimble, in which he gave an overview of the technological and social trends that will impact the Geospatial industry in the short and long-term future, we started the two days program. Loîc Pavard and Alicia Llorens from Hemav presented the support and additional value that the YellowScan LiDAR systems brought to their company’s activities: supervision of tree cutting and pruning activities; auditing non-compliancy of an installation with specific industrial standard; Analysis of land-surface using High Density Georeferenced LiDAR prior to building new powerlines (High / medium voltage); corridor mapping: analysis and distance-checking on existing powerlines or crossing lines. Shin Norimitsu from Ace 1 and Shinji Inaba from Mirukuru presented an overview of the LiDAR projects in Japan. The use of UAVs is strongly pushed by the Japanese government and Ace 1 has already completed over 40 UAV LiDAR missions with the YellowScan Surveyor in less than 1 year! Typical applications of UAV Lidar projects in Japan are: Terrain modelling for construction, Forestry Surveys and Emergency survey of a disaster site. Highly detailed and accurate DEMs are required for monitoring micro-topographic changes in mechanical dust control and mitigation treatments applied to the exposed playa areas surrounding the Salton Sea in California. Tim Roorda, director of operations at Juniper Unmanned presented the results of both LiDAR and photogrammetry missions in there. Final results showed that the LIDAR derived DEMs were substantially more accurate than the photogrammetrically derived DEMs and that average accuracies of +/- 2.5cm could be obtained when comparing the LiDAR derived DEMs with the survey-grade GPS data. Patterned landscapes featuring dense, regularly spaced earth mounds are widespread in seasonally flooded wetlands of tropical Africa and South America. In some cases, these earth-mound landscapes are of natural origin. In other cases, they are made by humans, and in yet other cases both humans and nature shape them. The various ecological and cultural processes at work should impart distinctive structural features. Characterizing the three-dimensional structure of these fascinating landscapes is thus key to understanding them. Drawing on their work in Bolivia, Cédric Krasnopolski from L’Avion Jaune and Doyle McKey from CNRS CEFE, presented examples of how drone-borne LIDAR and 3-D visualisation can contribute to this work. Dr Akira Kato explained the importance of early tree growth detection in forest operation & planning, and how he utilized and compared several 3D data acquisition technologies using airborne Laser (ALS), terrestrial laser (TLS), UAV based Structure from Motion (UAV-SfM), and the Surveyor UAV LiDAR from YellowScan. His conclusion was that tree growth can be precisely detected by all laser technologies, but Yellowscan can detect more precise tree structure parameters vertically and horizontally than the other 3D data acquisition technologies because of higher point density that captures all tree structure. Pierre Chaponnière, Application Engineer at YellowScan presented a survey of a quarry that seeks to compare three types of techniques: terrestrial LiDAR, photogrammetry and dual LiDAR/Photogrammetry acquisition. The comparison looked at two aspects: operational constraints and processing workflow. It provides comparative results on coverage production, accuracy and some qualitative information. Dieter Gabriel, Technical Marketing Manager EMEA at Velodyne exposed the advantages of the upcoming Ultra Puck sensor especially in the field of airborne mapping. As part of the presentation of the future Velodyne roadmap, he also gave an outlook on the upcoming solid-state technology. Scanning from UAV’s with YellowScan’s systems require “Survey-grade” Solutions: reliability consistent results, low MTBF, compact, low weight, low power design, low noise sensors, flexible options to address different applications. Jesus Ruiz presented the DG solutions developed by Applanix to meet YellowScan needs: embedded board sets, export free inertial components, latest multi-frequency GNSS receiver technology for robust and accurate DGNSS positioning, highly accurate and efficient Post-processing software, fast and expert support. Tristan Allouis, CTO of YellowScan gave a detailed descriptive presentation about ground point density measurements under vegetation from different flying heights obtained from YellowScan LiDAR systems. Both LiDAR systems, the Mapper and the Surveyor were flown consecutively over the same area covered with Mediterranean pine forest at various flying heights stretching from about 30 to 100m AGL. 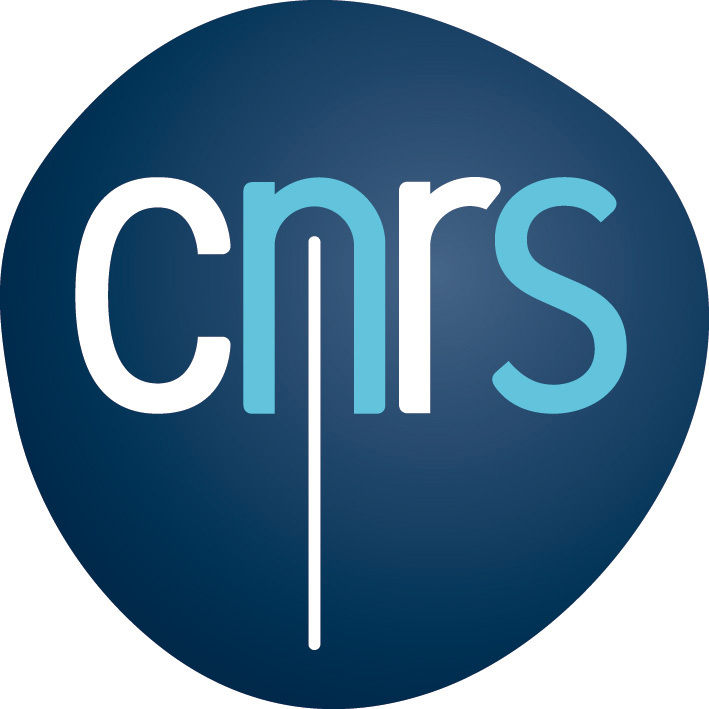 The produced datasets were processed identically and key statistics extracted from it. Point density results were summarized for single flightlines per level flight within a forest parcel. Additional key LiDAR specifications were described such as echo number proportion for the ground class and swath lengths for each LiDAR sensor. Arttu Soininen presented the latest features developed by TerraSolid engineers for UAV LiDAR. New classification with groups for better automatic classification and faster manual classification of above ground features. The first one was focused on urban zone surveys. We hence flew over the Château de Flaugergues with the Surveyor LiDAR system carried on the Six3 Drone from Escadrone. The guests could see the real time in flight data acquisition thanks to the LiveStation, then they saw the data processing and analysis on Trimble Realworks. A special thank you to Geomesures for this data analysis. The guests also had the opportunity to visit the castle where the owners still live and compare the data to the actual Château. The demo of the second day was held in the archeological field of Cambous. 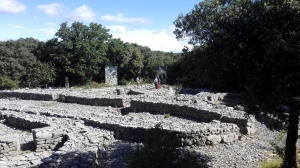 A European reference in prehistoric architecture, built about 4500 years ago. The site presents the state of excavations and the life-size reconstruction of a prehistoric dwelling.The flight was made with the Surveyor LiDAR system carried on the OnyxStar FOXC8 HD from Altigator. 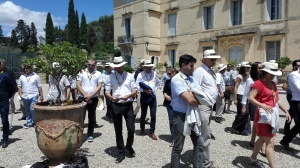 The attendees had the chance to visit the archeological site before the presentation of the data processing and analysis by Martin Isenburg on LAStools. The round table moderated by Tim Roorda from Juniper Unmanned was about the future of UAV LiDAR. 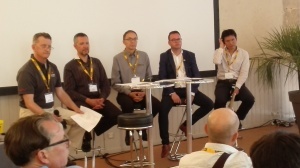 The panelists, Omar Soubra (Trimble), Michel Assenbaum (L’Avion Jaune), Dr Akira Kato (Chiba University) and Wim Van Wegen (GIM Magazine) tried to answer the question “What are the needs for the UAV LiDAR 2025?”. The workshop moderated by Bart Zondag from Geoinspect and Tristan Allouis from YellowScan was about Large LiDAR missions’ optimization. The aim of this workshop was sharing experience and making out advice one could get from it. As a skeleton, Bart and Tristan both presented a case study that attracted their attention “Fly a river bed” and “Hilly Landscape”. YellowScan will soon be launching two new LiDAR systems, the Mapper II, an updated version of the Mapper, and the code-named “VX” Long Ranger, a YellowScan Integration of the Mini-Vux. More information on those new projects will soon be available. On the evening of the 29th, Tamatta Jazz band led by the voice of our marketing/communication Manager Nada Jdaini, gave us a concert while the attendees were tasting the home-made wine production of the Château de Flaugergues. at « Le Folia », the castle’s restaurant, then provided guests with a gastronomic dinner that was enjoyed in a cheerful atmosphere. We would like to thank all the guests and all the speakers for those two amazing days. We enjoyed our time with you all and hope to see you again for the next edition of LiDAR for Drone – YellowScan User Conference!